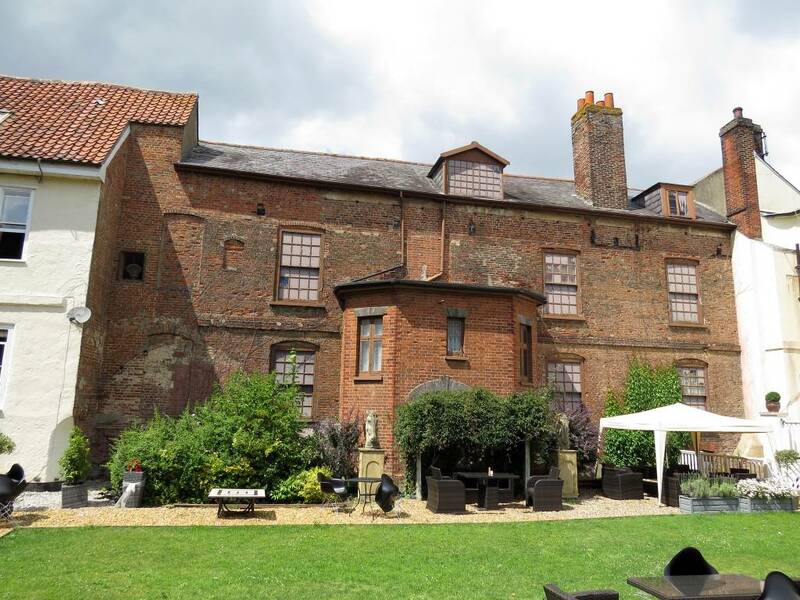 The history of Kingston House is closely tied-in with the palaces of King James I and Charles I, the site of which the house is built upon and further details of which can be found on the page for the palace. 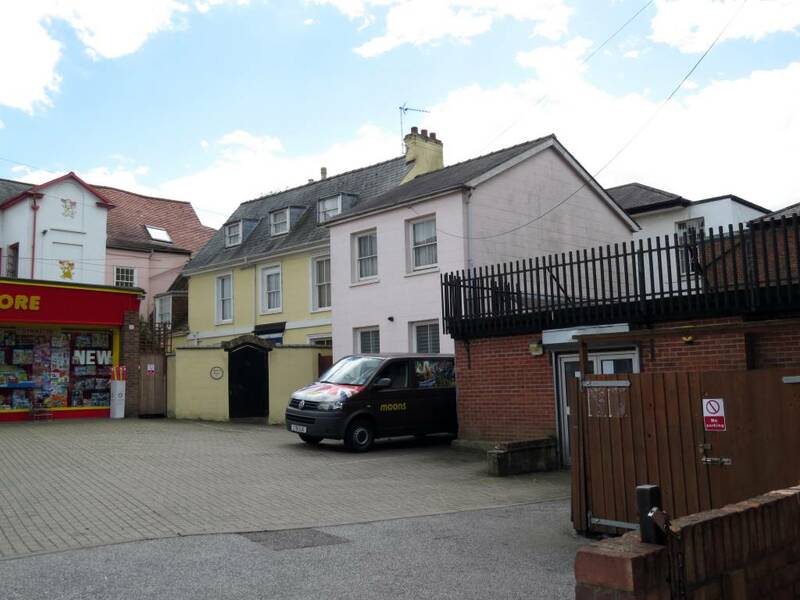 The full extent of the original Kingston House is not clear from the maps, but today the buildings of Kings Newmarket restaurant and Moons Toymaster both form part of the site. In the post commonwealth 1660 re-survey of what had been the site of King James I's and Charles I's palace, little was left of the palatial buildings and it's not known if anything much was present on the site here between that time and the subsequent construction of Kingston House. Though the date's not absolutely clear, from various historical references it appears that Evelyn Pierrepont, 2nd Duke of Kingston-upon-Hull built his house here sometime after 1750 and before 8th June 1756, when it's shown on a survey map produced on that date. Evelyn was born on 3rd April 1712. He married Elizabeth Chudleigh on 8th March 1769, however previously in 1744 she'd secretly married Augustus John Hervey, though the marriage never succeeded and the couple separated in 1749. Kingston died at his house in Bath on 23rd September 1773. His titles became extinct, but the estates were left to his wife Elizabeth for her lifetime, as long as she remained a widow. Subsequently though, the Duchess was tried for bigamy before the House of Lords from 15th to 22nd April 1776 and found guilty of bigamy. The estates, including his house in Newmarket, were eventually inherited in 1788 by Charles, the younger son of Kingston's sister, Frances Medows, who changed his name to Charles Pierrepont and was created 1st Earl Manvers. Thomas Robson, who trained Lord (Viscount) Bolingbroke's horse Highflyer, originally came from the North to train at Six Mile Bottom, where he trained for Robert Shafto and Francis Russell, the 5th Duke of Bedford. The offer of a large salary induced him to become a private trainer here at Kingston House, where he died in 1797. The article below is the sale document of the very successful bay stallion Highflyer by Lord (Viscount) Bolingbroke, the horse having been trained by Thomas Robson, presumably at that time still at Six Mile Bottom (the Valley, near Newmarket). His son Robert Robson, known as the "Emperor of Trainers", was the trainer to Augustus Fitzroy, 3rd Duke of Grafton. Up to his father's death Robert had been training for Sir Ferdinando Poole at Lewes, he then moved to take over the business at Newmarket. Following his retirement in 1828 he lived at Exning, but still loved Kingston House the best, and the last six months of his life were spent here, where he died on 2nd April 1838. Details about the stables they used, including their location, can be found on the page for the old palace. The name Stephen Piper, esq. 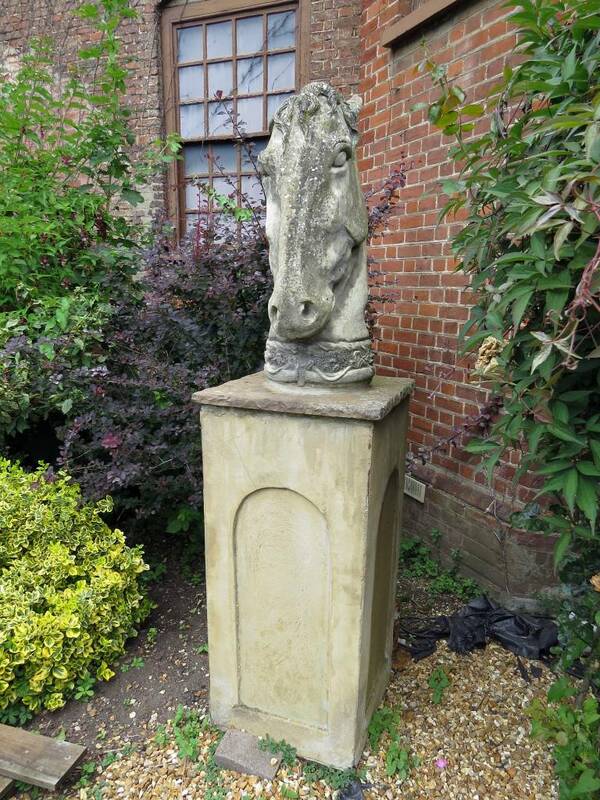 seems to have been very important in Newmarket during the 19th Century. There were two of them - father & son, both came to Newmarket from Haverhill sometime before 1819. Stephen owned the brewery in Albion Street which later became the King's Head Brewery. 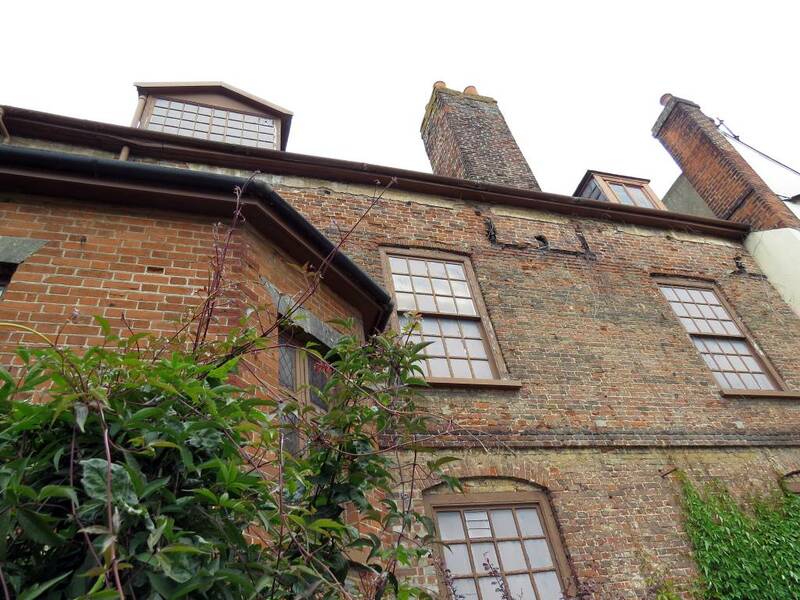 In July 1833 Charles Phillips bought the brewery from Stephen, who died a 9 months later on 7th April 1834, aged 65, having moved to the Manor House, Little Shelford. Within the palisades beneath lie deposited the mortal remains of Stephen Piper Esqr. Native of Haverhill, but late of Newmarket. Who died at the Manor House In this parish April 7, 1834, Aged 65 years. What his character was Will be best known at the Great Day. Reader think what thine will be. Charles Phillips later sold this brewery in June 1865, at which time it was purchased by the Moody Brothers, to eventually become the King's Head Brewery. Administration of Justice, Piper's Petition for remedying Defects in. Upon reading the Petition of Stephen Piper of Newmarket; praying, "That their Lordships will take the Jury Act into Consideration, and repeal or amend the same; and form some new Law, whereby Suitors in the several Courts of Chancery may have immediate Redress on Complaint against their Solicitors:"
Like his father he was also quite wealthy; as in 1831 he purchased the entire plot that had been the old palace grounds (details of this transaction are held in the National Archives, Reference: MPEE 1/81). As shown on the map above, at the time of the purchase he owned the buildings to the south-west of the area at the corner of Dog Kennel Lane (Park Lane). After the purchase he later moved into Kingston House itself where he's listed in the trade directories in 1839. This overall area was then known as Kingston Yard, and the part in front of Kingston House was Kingston Square. It was only one year later that in 1832 York Buildings was built in front of Kingston House - No.89-95 High Street, replacing the two houses shown in the top-left of the map. Presumably it was he that also had the malthouse (Maltho.) built on this land as part of his business, a building that can still be seen on the 1901 Ordnance Survey map of this area at the top of the page. Stephen and his wife Amelia were both members of the Congregational Church and were instrumental in contributing to the building of the new church in 1863 further along the High Street on the site of Charles II's Palace. Stephen also had a further influence on the church in that it was he who introduced Mr. Swindell the Baptist teacher into Newmarket, details about him can be seen on the page for the Congregational Church. Stephen died on 13th January 1871 and Amelia on 20th December 1889, both in Newmarket. The business was started by James Button, but there's no mention of him or the county court in any of the Newmarket directories before 1851, so it seems most likely that this is when he moved here. In its later years the business of Button & Aylmer had its offices at No.96 High Street, so further personal details about these two solicitors can be found on the page for that building. In 1904 the County Court had also moved to No.96, but prior to this it had been here at Kingston House. John Henry Aylmer continued living in Kingston House and can still be seen here when he died in 1922. Robert Fenn was the first solicitor of this partnership to appear in Kingston House, when he moved to live here in 1874. 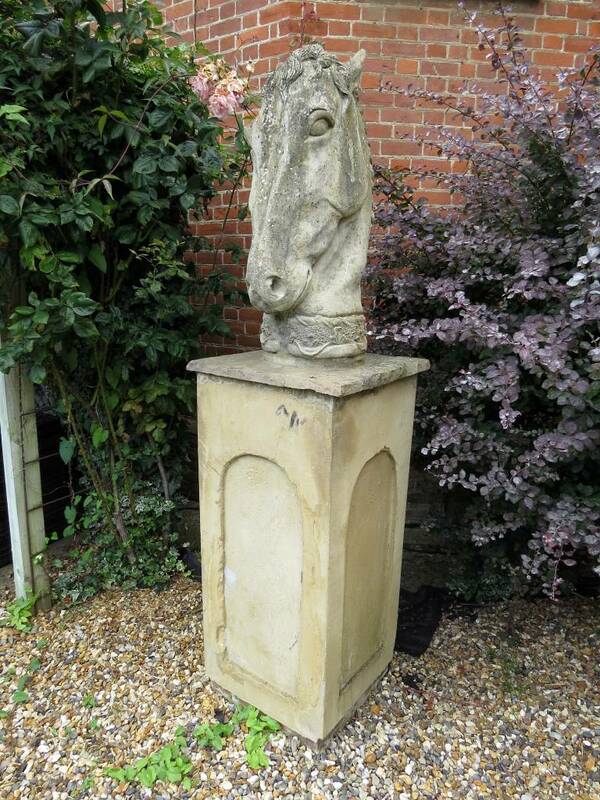 Further details about him can be found on the page for No.43-45 High Street - Fairfield House. When Robert died on 20th June 1901 the solicitors practice here then became known as d'Albani & Ellis. Arthur was born 2nd April 1856 in York. He was the only son of Rinaldo Carlo Luigi Ferdinando di Lara (Count d'Albani) and Eleanor, the youngest daughter of James Day, draper of York. His birth name was recorded as Arthur James Luis Francis De Lara. His father Rinaldo was born in Italy, and he was naturalised as a British Citizen on 11th January 1859, taking on the British name of Rinaldo Charles Louis Ferdinand d'Albani. 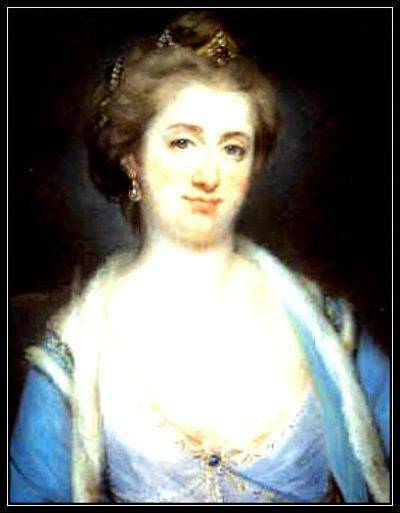 Now this is where it all gets very interesting - Prince Charles Edward Stuart (better known as the young pretender or Bonnie Prince Charlie) created his illegitimate daughter; Charlotte (by Clementina Walkinshaw), the Duchess d'Albani, and legitimised her by a deed which was recorded in the register of Paris in 1787. While in exile in Florence, until his death in 1788, Charlie began to use the title "Count of Albany" (Count d'Albani) as an alias, and this title is still frequently used for him in European publications. His wife Louise is almost always called "Countess of Albany". The 'Mr. Stuart' being referred to in the following near-contemporary article is Bonnie Prince Charlie - clearly being identified as Count d'Albani. I welcomed Mr. Stuart the following morning at my own residence, who may be considered to have real pretensions to legitimate descent from a royal race whose ancient rights are now nearly forgotten in the world. He expressed a wish to put a stop to the erroneous statements which had been lately renewed in the Glasgow journals. The few high-horn friends who have possessed his confidence during the last thirty years, do not doubt the identity of his origin, but believe him to be in a most delicate embarrassment as regards the reputation of an imperial princess, (a few years since on a visit at the English court, and afterwards by her second marriage a queen,) which retards a duty he owes to himself and to his confidential friends to verify his birth. I did not volunteer to press indiscreetly on Count d'Albani's private history, but willingly heard from himself what he thought proper to disclose, and from those details his fate appears to my mind a severe one. The Prince Charles Edward created his daughter, by Miss Walkinshaw, Duchess d'Albani, and legitimised that lady by a deed which was duly recorded in the register of Paris in 1787 - a frequent act of the French monarchs in the last and anterior centuries. Because of the controversy associated with Bonnie Prince Charlie, his daughter Charlotte's family are shrouded in mystery, half-truths and further false pretenders to the British throne. There doesn't appear to be any direct link between Bonnie Prince Charlie and Rinaldo di Lara, but there's one clear common denominator - they were both styled as Count d'Albani. Curiously, for the early years from Arthur's birth in 1856, until 1879, there appears to be no record for any of the d'Albanis living in this country. Arthur isn't shown in the section for Newmarket in Kelly's Directory for 1879, but he is listed in the compiled section for that year under Solicitors, where he's shown to be in Newmarket (with no address given). The firm, Fenn, d'Albani & Ellis, solicitors first appeared in the trade directories in Kingston House in 1883. On 6th October 1887 Arthur married Emma, the youngest daughter of Daniel Mackenzie of 32 Upper Addison Gardens, Kensington, London. The marriage was in Potton, Bedfordshire. Then in the 1891 census Arthur and his family were shown living in Bury Road, in a house between Abington Place (with Martin Gurry) and Reydon Lodge (with Henry Martin, draper) - what's now called Mesnil Warren - No.40 Bury Road. 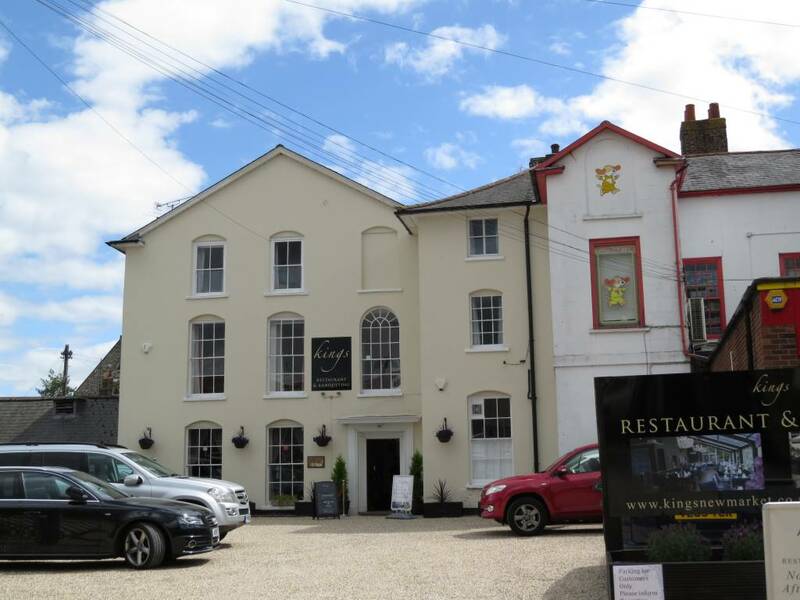 In the 1901 census the family had moved to No.102 Risbygate Street - Risbygate House in Bury St Edmunds, and according to the records of the Risbygate Sports Club, Risbygate House, the one time home of wine merchant George John Oliver, was home to the d’Albanis between 1896 and 1911. In 1912, when Frederick and Ellen Drake took over the property, it became known as the Risbygate Temperance Commercial and Family Hotel. Arthur and Emma had two children - Inez Valerie Eleanor d'Albani born in Newmarket in 1888 and Charles Louis d'Albani, born 5th May 1891 in Exning (Bury Road is in Exning parish). A third child Rinaldo Francis D'albani, born in 1895, died at the age of 2 in 1897. Sadly Emma died in October 1906 in Bury St Edmunds. On 24th September 1907, whilst still living at Risbygate House, Arthur re-married to Elizabeth the daughter of John Francis Fletcher. The wedding was at St Matthew's Bayswater, Westminster. Their first daughter Dulcie Vera Kate d'Albani was born in 1908, a second, Elizabeth d'albani, born in 1909, died that same year. Then in 1917 they had another daughter Eve d'Albani. Following his time at Bury St Edmunds Arthur moved back to Newmarket and in the 1911 census can be seen living at Stapleton - No.43 Bury Road, between Captain Dewhurst in Glenara (No.45) and the trainer Fred Rickaby at Marchetta (No.41). During WWI he was a Captain and Honorary Major of the 2nd Volunteer Battalion of the Suffolk Regiment. On the 1911 census, his son Charles Louis D'Albani, is listed as a 'Solicitor's Articled Clerk' (working for his father of course), but he's now much better known as being the last of the many male conquests of the Victorian socialite Lillie Langtry. He was 38 years her junior and she called him Louis. The association was probably as much to do with her remembrance of Prince Louis of Battenberg (the father of her only daughter), as for him being her social companion. She left him £2,000 in her will. 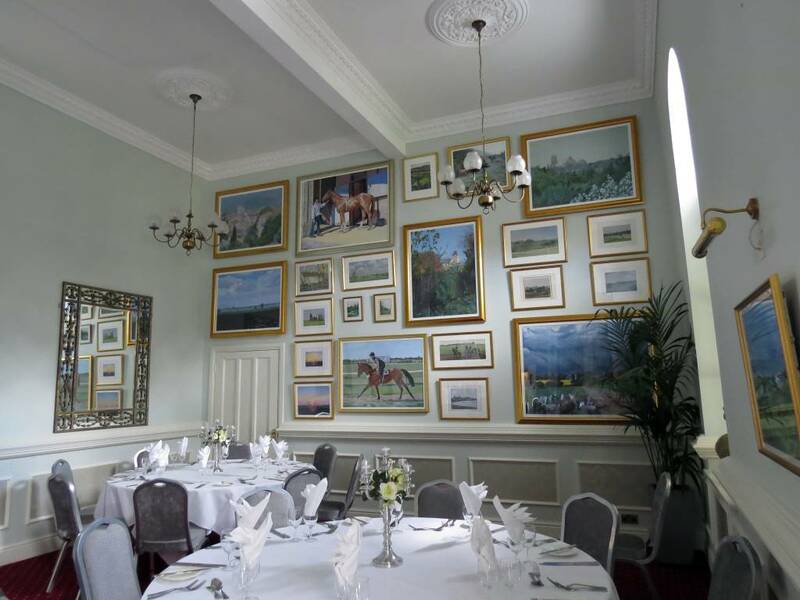 They originally met when Lillie lived at Regal Lodge in Kentford, so if their meeting wasn't due to a common equestrian interest, Lillie must have driven past his Bury Road house many times on her way from Regal Lodge to either the Newmarket races or on her way through to London. During WWI Charles was in the Suffolk Regiment, 1/123rd Outrams Rifles, Indian Army. Following his association with Lillie (who in her later years after WWI had moved to live in Monaco) he doesn't seemed to have spent much time in Newmarket and it's believed he died in America. Arthur's mother Eleanor, the Countess d'Albani died at Guzman House, de Parys Avenue in Bedford (Arthur's second home at that time) on 30th May 1902. It's not known when or where his father Rinaldo died, but Eleanor was already a widow by that time. She left Arthur £10,247 18s in her will. As shown by Kelly's Directory of 1925, by that time d'Albani & Ellis were no longer in Kingston House and Arthur was now in partnership with Ennions Solicitors to become d'Albani & Ennions - details about them can be found on the page for Deva House - No.90-94 High Street. Arthur died on 9th October 1928 at Bedford. The above map has been produced by combining various modern maps and aerial photo views, to overlay the present day building outlines of Moons Toymaster and Kings Newmarket restaurant onto the 1901 map shown at the top of this page. 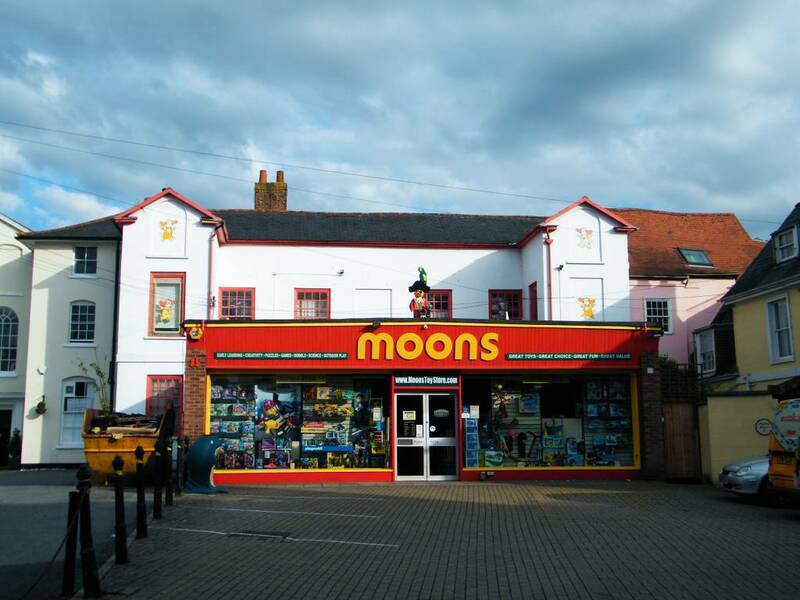 Though the original building outline of Kingston House can be seen from the High Street in the photos section below as the rear section of Moons Toymaster, the map clearly shows the modern extension at the front of the toy shop. 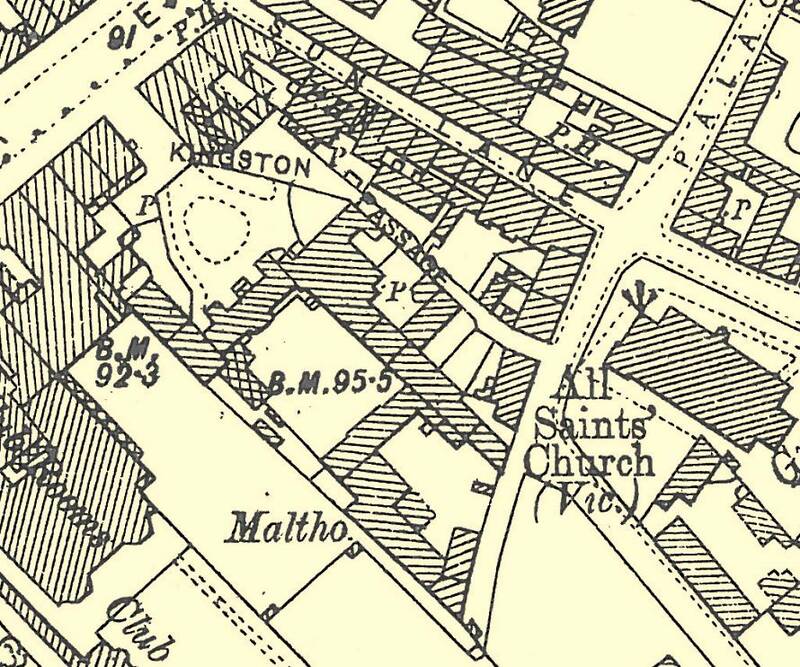 It also shows how Kings have extended their building footprint quite considerably compared to the 1901 map (note that this part of Kingston House is a later construction than the part where Moons is, reportedly built in the early 19th century). 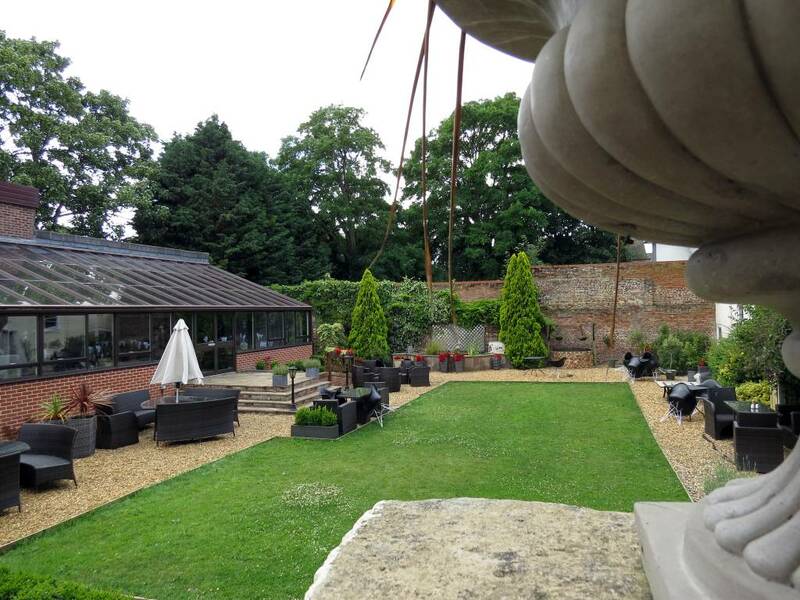 The recently built conservatory restaurant at the rear now extends over half of the garden of Kingston House ... and therefore presumably over what had been the original palace garden. As detailed above, the delineation between the various houses & businesses within the overall Kingston House has changed over the years, and at various times there have been a No.1, a No.2, plus a third section that at one time was the first telephone exchange in Newmarket. It's not known exactly which parts of the building these particular areas were, but the address used for the Telephone Exchange was All Saints Passage - the previous name for Kingston Passage. It's therefore thought that this part of the building was most likely at the side of the eastern wing adjacent to the passage - presumably where the present-day side entrance into Kings Newmarket restaurant is. Another of the reasons for this conclusion about the location of the exchange is that following a very detailed discussed with David Occomore, a previous member of the Newmarket Local History Society and an avid amateur historian, it was discovered that there's a telegraph pole that can be seen in both the above 1901 map (labelled 'P', next to a dot) and this can also be seen in various aerial photographs of the site ... the 1940s photo below shows it really clearly, although its position may have moved slightly compared to the 1901 map above. In 1898 when the National Telephone Company first decided to bring telephone wires into Newmarket, the Jockey Club was adamant that outside the town that they shouldn't be on telegraph poles above the ground (as it was thought that this would scare the horses), so all the telephone lines into Newmarket were originally dug underground and came down the Bury and Snailwell Roads, along the High Street, all the way up to the entrance into Kingston Passage and then across to Kingston House. 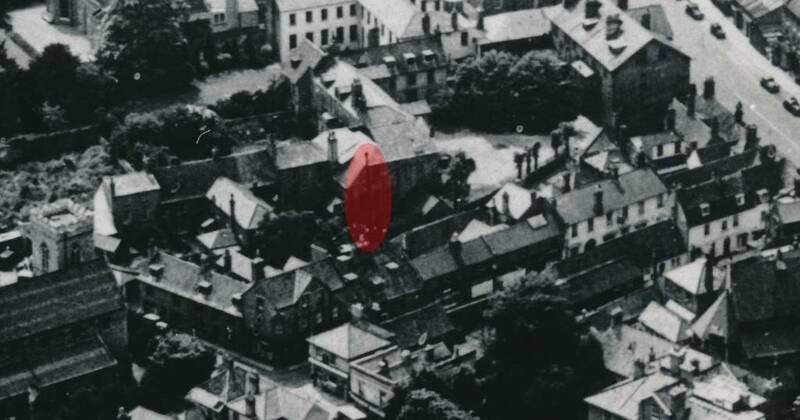 After passing through the exchange they then came out of the building and, for the first time above ground, onto a telegraph pole, passing from here all around Newmarket to various poles around the town that can be seen as further 'Ps' on the 1901 map of Newmarket. The presence of these other poles and cables can also be confirmed by other photos taken around this time. So actually this 'P' on the map ought to be really be considered much more like an 'X marks the spot' - i.e. it indicates the most probable location of the telephone exchange. The sequence of entries on the various censuses also confirm that the exchange's location was indeed next to, and on the passage side of Kingston House. 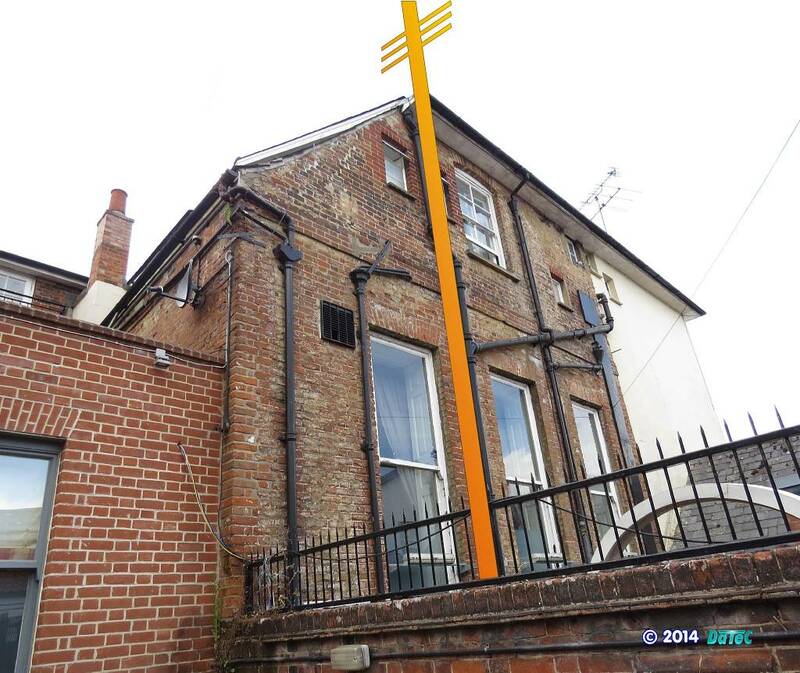 The photo immediately above has been marked-up to show where the telegraph pole would have been if it was still there today, and it shows that the location was against the main restaurant in the present Kings Newmarket. The telephone cables would have come out of the building close to here to join onto the pole - so this is the best indicator as to where the exchange actually was. William James Moon opened his original cycle shop at No.20 Old Station Road. It later moved to No.1 High Street, where the business extended into selling toys. In 1970 the shop moved to its present home here at No.85 High Street. 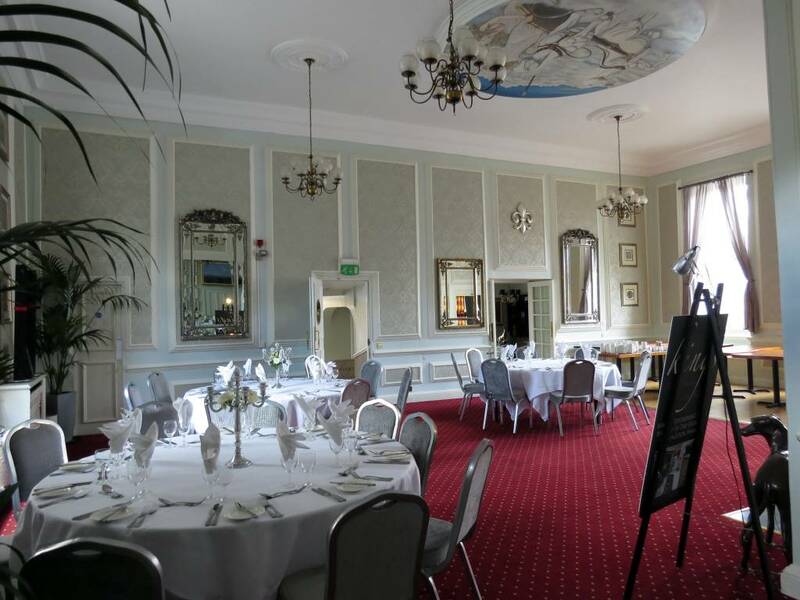 The Marlborough Club was a gentlemen's club that moved into the eastern wing of Kingston House in 1949, after their original building at No.74 High Street was destroyed by the bombing on 18th February 1941 during WWII. The Committee of the Marlborough Club wish it to be known that the affairs of the Marlborough Club are being wound up and any surplus of the Club’s assets will shortly be distributed to its Members. 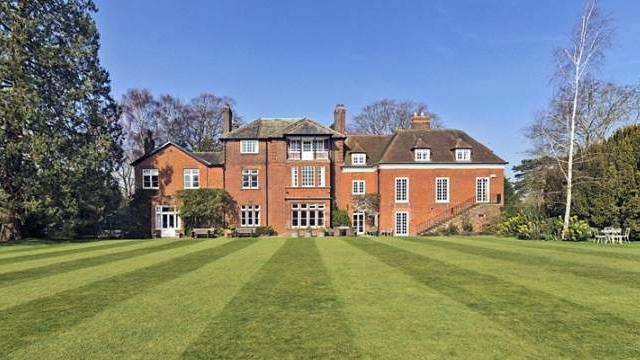 Those who consider themselves Creditors of the Club should apply in writing to Moore & Co., Belvoir House, 1 Rous Road, Newmarket, Suffolk, by no later than Tuesday, 8th June 1999, stating in full the grounds of their claim. This notice relates to the Club which operated from Kingston Passage, Newmarket until 7th February 1997. M. Norman, Chairman 17th May 1999. Kings Newmarket restaurant occupies the same building that was the Marlborough Club. The business was officially started on 20th July 2012 by Paul Brodel and Luke McCarthy. Considerable renovations were undertook and the restaurant opened later that year. There's an interesting observation to be had concerning the bricks used in the construction of Kingston House. As detailed at the top of the page Kingston House is built on the site of James I & Charles I's palace, and the 1650 survey of the palace states that the King's Lodgings was brick-built. In 1568 a royal charter defined the 'statute brick' as being 9" x 4½" x 2¼". After 1660 this increased to 9" x 4½" x 2½" and then after the brick tax in 1784 this increased to 9" x 4½" x 3" upto 3½" deep. Modern bricks are 8 5⁄8" × 4 1⁄8" × 2 5⁄8". Measurement of the bricks in both the wall and main house show that a large proportion of them are 2" - 2¼" thick, with what looks like infill repairs in much larger bricks. As early bricks were hand made their individual size does vary greatly, but it's clear that the smaller bricks must be classified as 'statute bricks' and hence being produced before 1660 are much older than the age of this house, which as detailed previously was built sometime after 1750 and before 8th June 1756. Also if you scan across the rear wall of Kingston House you'll see that many of these smaller bricks are quite rough and broken and are laid in a really haphazard, untidy bond. As the bricks could clearly be contemporary with the original King's Lodgings the suspicion is that following demolition of the palace some of these bricks were re-used in the construction of the house. 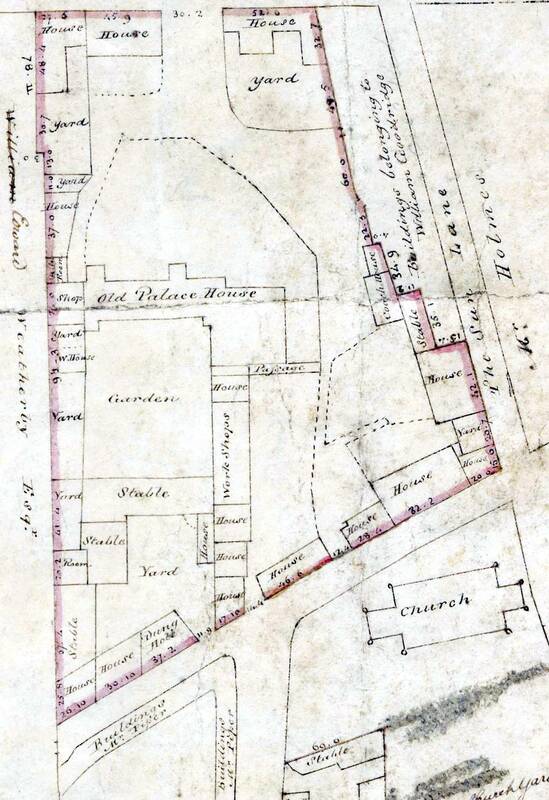 It took around 100 years for this re-use to happen (1650 - 1750), but the intermediate survey of the old palace yard by Thomas Fort, Clerk of Works to Charles II's palace (1719-1745), doesn't show any detail at all at the location where the King's Lodgings had been and Kingston House was later to be built. The most likely explanation here is that this plot of land was just an empty building site, containing piles of bricks from the demolished palace ... this does seem to fit with Sir Christopher Wren's comment in 1667, when on visiting Newmarket he described the old palace there as a ‘vacant yard’. Even more interesting than the walls of Kingston House are the bricks in the garden wall - a large proportion of these are the smaller 'statute bricks', but in this instance they're undamaged, and although it's known that this wall has been substantially repaired over the years it does indicate the highly likely probability that most of it is actually the original wall of the King's garden. Consider this - if you've got a buildings site containing valuable bricks, you wouldn't leave this accessible to all. Thomas Fort's survey plan does show some remaining buildings and a wall on the eastern and northern side of the plot, so it would every sense to leave the original garden wall on the west and south to keep the bricks safe from pilfering. The 1660 re-survey of the old palace after it been mostly demolished by the interregnum states the 'The garden was not much altered' - so this does seem to concur that both the garden and its surrounding wall that are still present today are almost the same as Kings Charles I left them about 365 years ago. 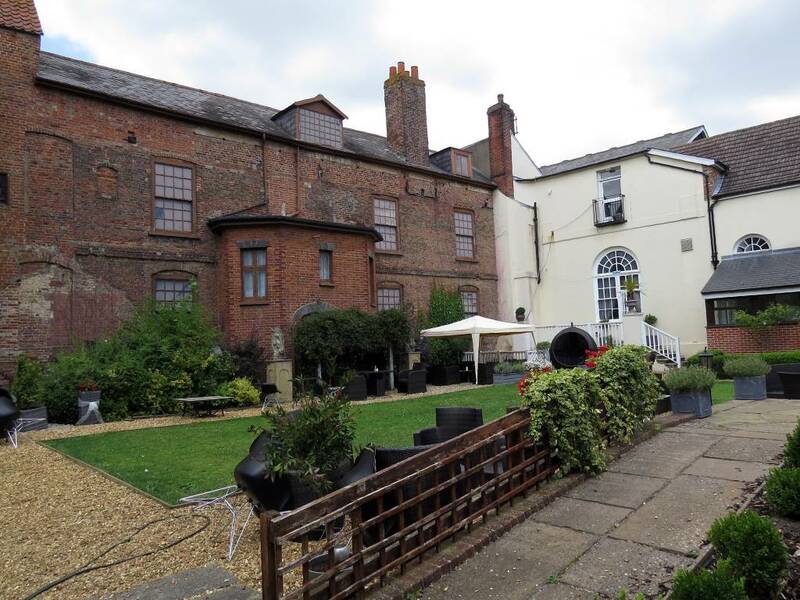 It's also known that the Prince's Lodgings was brick-built (which is now York Buildings - No.89-95 High Street), but there's another theory concerning the use of its bricks which is detailed on the page for the old palace.